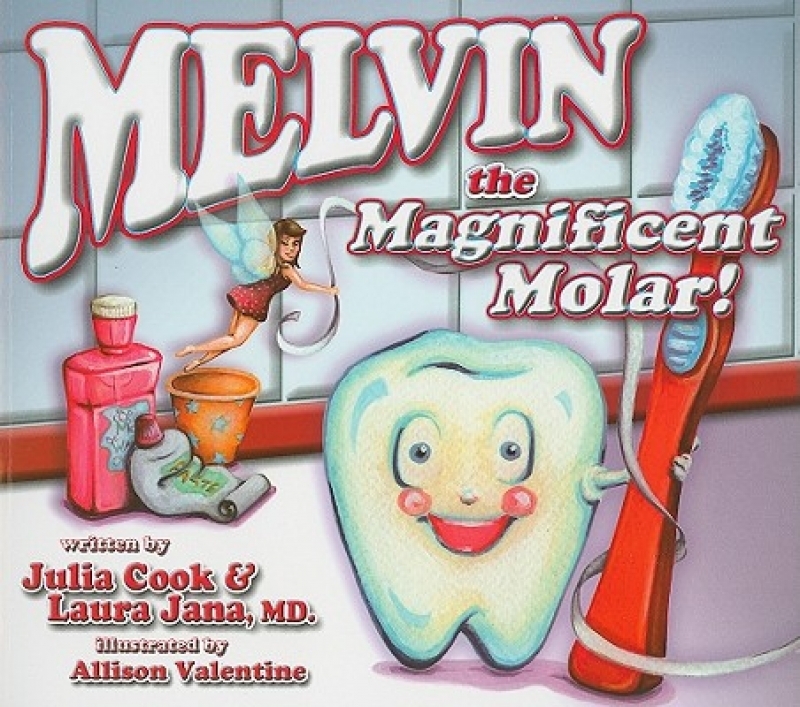 Melvin the Magnificent Molar by Julia Cook is a great book for teaching kids ages 3 and up all about their teeth, and how to take care of them! Julia Cook and Dr. Laura Jana created Melvin the Magnificent Molar with an aim to get children interested in and engaged with their oral health care, and to help them actually enjoy learning about how to take care of their teeth. Melvin is a lovable, cheerful little molar who speaks directly to kids from a tooth’s point of view. He tells them all about the important steps involved in keeping smiles healthy and bright, including visiting the dentist twice a year, taking good care of baby teeth, using fluoride toothpaste, and what to expect during a visit to the dentist's office. This book is appealing to children because of the adorable illustrations, in combination with Melvin’s charming, sweet personality. Melvin talks about how much he and the other teeth love being squeaky clean, and how they always sing a song in anticipation of the first cleaning of the day. Melvin encourages kids to want to take really good care for their own ‘Melvins’! Contact Smile Town Langley today to make an appointment to have you child’s Melvins cleaned!